You have come to The Best Golf Training Aids website looking for answers! Something is not quite right with your golf game. Maybe you have memories of your last three-putt. Or a recent shank off the hosel of your 9 iron. Or a disaster on the first tee in front of your friends. These things happen. We all just wish that they happened less frequently. 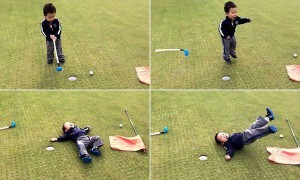 Many have seen and chuckled at the recent internet video of the little boy missing a putt. We can all relate to that state of shear anguish from the golf ball’s betrayal. After all it really is the golf ball’s fault! Right? Ok, probably not. We all want to improve our golf games in order to prevent the next bad shot and meltdown. Anyone who has played golf has, at some point, struggled with their game. In those moments of frustration we all want to find the magic fix, the new method, or the new performance tool to fix our games. 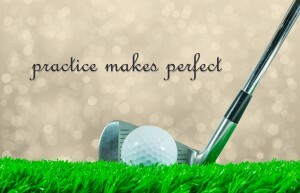 Although there really aren’t many quick fixes, the Best Golf Training Aids website is here to help golfers find the best golf improvement tools to help them fix their golf glitches, lower their handicaps and increase their enjoyment of the game. With all of the training tools in the market it is difficult to choose the exact right one. We are here to help sort through the clutter. We do the research, read the reviews, test the equipment and do price comparisons so that you don’t have to. 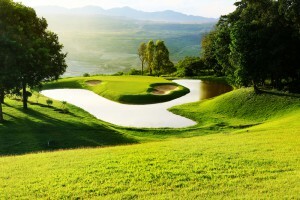 For the most part, we recommend intuitive, easy to use products that golfers can understand and immediately put to use. While we tend to like physical products, we also make a few recommendations on instructional books / DVDs and outstanding technology-based training aids. Through our research we determine what we believe to be the best golf training aid for a particular purpose. For instance, body alignment is an important and fundamental part of the golf stance setup. 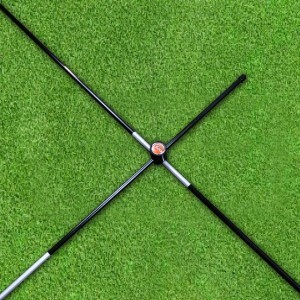 One of the simplest aids for this type of practice are golf alignment rods. If you were to enter a search on Amazon for “golf alignment rods” (quick hint: any text in red is clickable!) you would receive over 100 results. Most folks when presented with that many options either walk away or make a rushed, uninformed decision. 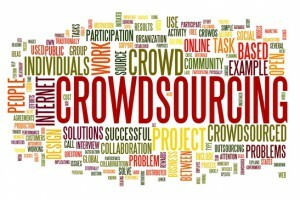 Our job, and what we excel at, is working through all of the marketplace noise to simplify your selection process. By the way, we recommend the Elixir Golf Alignment Sticks because of their unique features and price point. Some training aids are listed in multiple categories. For instance, the alignment rods are listed in all three swing categories. As a second example, all of the training aids listed within the Technology category are listed in one or multiple of the swing categories. There are multiple ways of selecting or switching between the five categories. You can use the top navigation menu. Click on the highlighted bullet points above. Or, click on any of the four product section headings below. Everyone wants to hit their driver and approach shots farther and with more control of trajectory and shape. Most of us would love to be long hitters or flush irons players. The key to gaining distance and control is a predictable ball flight. A predictable ball flight comes from having a consistent, synchronized and powerful swing with smooth tempo and a squared clubface making contact with the ball. So, the real challenge for golfers is that they have to master all aspects of their swing to gain distance and consistency. To help with the full swing challenge we have identified products that will help you improve your set up, body alignment, backswing, forward swing, impact, follow through and tempo. For the most part these full swing training aids are relatively straightforward tools that every golfer should use. We have left the bio-mechanics, neurophysiology, spatial X Y factor dynamic and rock-paper-scissors game theory in the lab for the scientists. …mainly because we don’t fully understand them! And, neither do most average golfers. We have identified and recommend the most reliable and user-friendly training aids that we have found for the full swing. Many golfers struggle with their short games and take too many strokes from 100 yards into the green. They will duff a pitch into a sand trap or fly a sand wedge over the green. Worse yet they “chili-dip” a simple wedge shot creating a huge divot while watching the ball trickle forward a few feet or yards. Sub-optimal, to say the least. It’s all about 100 yards in! 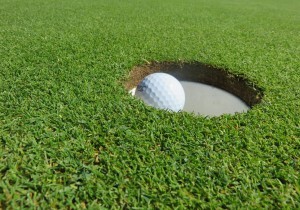 What many golf gurus say is that golfers do not spend enough time practicing their short game. For many golfers it is just a lot more fun, satisfying and even ego-boosting to take out their drivers and irons and go “scrape and hit” 100 balls repetitively on the driving range. Face it, there is very little joy in continuously bending over and picking up golf balls across a short game practice green. It can be sheer drudgery. By the way, our absolute favorite short game tool cures the drudgery of short game practice. Click here! The short game category focuses on helping golfers improve their performance from 100 yards to the green. What we have found is that improvement in the short game comes down to mastering simple fundamentals. The key fundamentals are alignment, set up positions, swing basics and practicing with a precise target in mind. We have sweat over many three footers. So, we sympathize with golfers who need to improve their putting. It is amazing how many of us are champions as mini-golf players yet struggle to consistently line up and execute a 6 to 8 foot putt. We all tend to reach our own individual plateau’s and stay there. Through focused effort, many golfers find that practicing a proper putting stroke (technique, aim and tempo) is one of the fastest ways to improve their golf score. Putting (and the short game) is a true equalizer for golfers who aren’t participants in the long drive competitions. Putting is probably the most idiosyncratic part of the game of golf. For example, think about the variations in grips that you see on the tour these days. There is the overlap, interlock, cross-handed and multiple varieties of claw grip to name a few. Then there are countless varieties of standard to oversized grips. And there is significant variation in club lengths including the now illegal anchored clubs. Add to those variables the explosion in the types, sizes and positioning of the putter head. Not too long ago there were just blade putters. Today the putters come in a near infinite number of shapes and sizes with a variety of shaft positions. Putting has become highly personalized. With all these variations in grip and equipment you might think that putting would draw the most attention in terms of teaching and practice. In reality, putting aids are fewer in number and diversity than in other aspects of the game. In addition, the majority of putting training aids tend to be simpler and more straightforward than their full swing and short game counterparts. As in our other categories, the putting training aids focus on the fundamentals. For example, one of our training aids helps to ensure that your alignment is consistent and appropriate. It takes the guesswork out of setting your shoulders, eyes and swing path to be parallel with the desired path of the ball. Other aids will assist you in practicing the proper speed of the ball and visualizing the curvature of its path so that it will consistently find the bottom of the hole. As mentioned previously, we tend to recommend training aids that are manual, easy to understand and easy to use. We tend to shy away from training aids that have to be plugged in – in part because of complexity, but also because of cost considerations for the average golfer. That said, the one thing that we care most about is whether the training aid delivers results! Simplicity is great but results matter most! Electronic based training aids are exploding in the marketplace and in the training bays of teaching professionals. 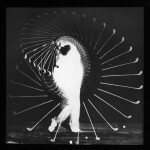 There are multitudes of computer based training aids aimed at measuring: every aspect of a club’s path and speed; a golfer’s weight shift as he swings a club; as well as a ball’s flight, spin speed and distance. Many of these enhanced tools are too expensive for recreational golfers. Prices are dropping at the same time that effectiveness and reliability are increasing. Over time we will be identifying the best electronic-based training and performance aids. Our recommended tools will range from consumer accessible launch monitors, to the latest and best GP watches, to club motion tracking devices and more. The technology category is one of the fastest growing and we will do our thorough research before making our recommendations. While we do a ton of research, we know that we will never know everything. Thankfully we live in the internet age. So we are humbly asking folks who visit the site to take a moment and give us your opinion on what is the best golf training aid that you have used? What has worked for you? What makes it great? And, how did it improve your game? Our goal is to help golfers solve problems in their golf games utilizing the most effective golf training aids on the market. In 2016 we plan to identify the top 50. We look forward to your comments and recommendations! The quick caution: No golf performance tool or aid will give instantaneous, breakthrough results regardless of what they say on the late night golf infomercials. Bad habits must be broken. And, preferred patterns need to be hardwired into mind and muscle memory before the results of the training will be seen on the course. The tools we recommend will help you improve over time if used correctly and on a consistent basis. The first step is frequently overlooked. Take the time and actually set a goal for what golf result you would like to achieve. The goal should be specific even if it has nothing to do with how well you score. For instance, you might want to feel more comfortable playing golf so that you can enjoy the more social aspects of the game. Second, determine what parts of your game are standing in the way of you reaching that goal. Is it your long game, short game, putting or something else that is holding your performance back? And then, think critically about what aspect of that part of your game needs work. Is your fade really a massive slice? Is your chipping too much of an underground exploration? And lastly, practice: Once you have gotten specific on what you need to work on you will then have to become focused on actually practicing. And as needed, you should purchase the best golf training aids available to target your specific areas of focus and accelerate your improvement. Good luck and we look forward to seeing you out on the links!